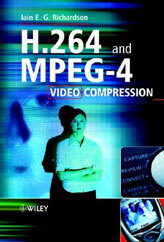 Video compression or video coding is the process of compressing (encoding) and decompressing (decoding) video. The resources on this page will help you to understand the basic concepts. If you need further advice on intellectual property - we can help. We provide expert support related to image and video compression patents, including patent and product analysis, software and hardware review, expert opinions and expert witness testimony. Our clients gain a clear understanding of technical value before entering into any negotiations to buy or sell patents through our expert advice. Potentially valuable patents and patent groups are identified, prospective licensees suggested and relevant prior art pinpointed prior to the sale and acquisition of patent portfolios. If you would like to find out more, please contact us. Video compression is the technology behind moving digital images. It is essential to video on phones, cameras, laptops and TV. In fact, anything you can watch on a screen uses video compression. 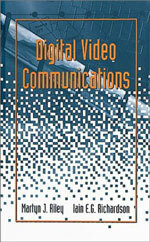 Digital video takes up a very large amount of storage space or bandwidth in its original, uncompressed form. Video compression makes it possible to send or store digital video in a smaller, compressed form. Source video is compressed or encoded before transmission or storage. Compressed video is decompressed or decoded before displaying it to the end user. The resources below will help you to understand the basic concepts. 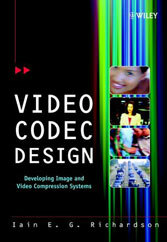 High Efficiency Video Coding (HEVC) is a new Standard for video compression developed by the ISO and ITU-T. The Moving Picture Experts Group (MPEG) and Video Coding Experts Group (VCEG) set up a Joint Collaborative Team on Video Coding (JCT-VC) to create the new standard. HEVC is a joint publication of ISO/IEC and ITU-T, formally known as ISO/IEC 23008-2 and ITU-T Recommendation H.265. 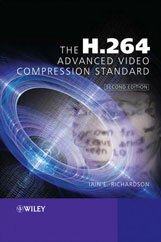 The new HEVC standard was first published in January 2013.  HEVC and VP9 codecs: try them yourself - How to start using HEVC and VP9 software encoders. We provide instructions for getting started with the HM and x265 HEVC encoders and the WebM VP9 encoder. HEVC Analysers - An overview of popular HEVC analysers including installation guides, usage and available features. H.264/AVC Inter Prediction - Methods of predicting inter-coded macroblocks in P-slices in an H.264 video compression codec. H.264/AVC Context Adaptive Binary Arithmetic Coding (CABAC) - Short introduction to CABAC. Familiarity with the concept of Arithmetic Coding is assumed. H.264/AVC Context Adaptive Variable Length Coding - The Variable-Length Coding scheme is described in this document. H.264/AVC Loop Filter - Methods of filtering reconstructed blocks in an H.264 video compression codec. H.264 Picture Management - Introduction to the parameters and processes involved in managing coded frames within the H.264/AVC standard. H.264 Transform and Quantization - A derivation of the forward and inverse transform and quantization processes applied to 4x4 blocks of luma and chroma samples in an H.264 codec.